When Marc and Nia Jones first used Farm Gauge, they felt like they’d struck gold. Here was a simple online tool that could not only help them to assess their strengths and weaknesses, but also inspire them to become more successful farmers. Inside Dairy caught up with the contract milkers for an honest assessment of Farm Gauge, and how it’s led to them connecting with a local mentor. 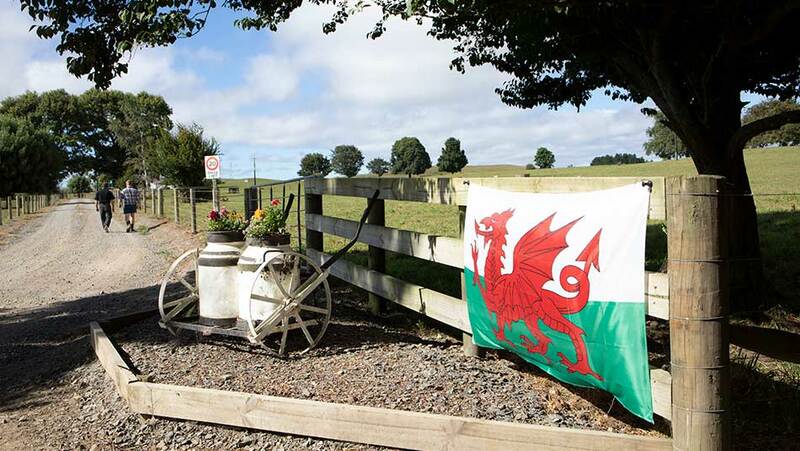 At the entrance to Marc and Nia Jones’s South Waikato farmhouse, a flag with a fiery Welsh dragon gives away their origins. No prizes for guessing which side Marc and Nia will be supporting at this year’s Rugby World Cup. Marc and Nia, who met at school in Llanrwst, North Wales, first came to New Zealand on their ‘big OE’ in 2009. Nia grew up on a 200-cow dairy farm and Marc’s background was in sheep and beef farming. Their enthusiasm for New Zealand dairying was ignited when Marc spent part of his trip working on a Tokoroa farm owned by Margaret and the late Ian Elliott, while Nia travelled. Marc and Nia went home in 2011, and for the next five years worked as dairy managers in Scotland and contract milkers in North Wales before returning to New Zealand for good. “We’d fallen in love with the country and always wanted to come back. In 2016 we decided it was now or never. We worked in Southland during the 2016/17 season and were fortunate to get a job offer to manage the farm for the Elliotts,” says Nia. The couple are about to start their second season contract milking on the 270-hectare (ha) farm, and they’re going from strength to strength. 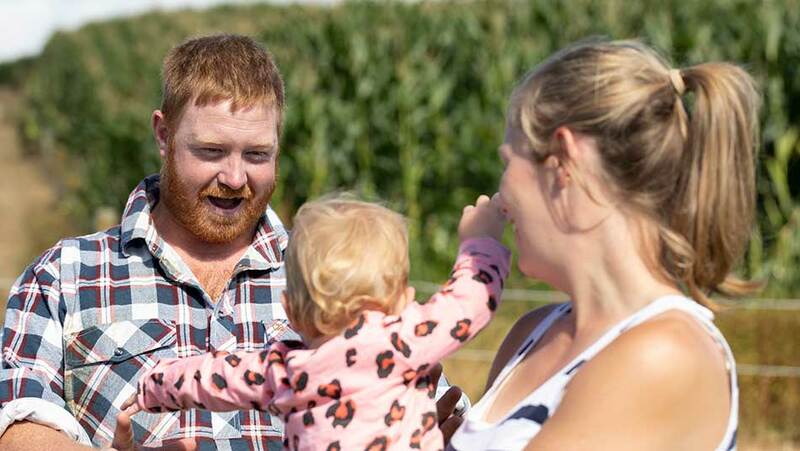 Between them, Marc and Nia hold the future of their farm, thanks to Farm Gauge and the farmer mentor it has connected them with. A better focus on their farm enables the couple to balance work and family life more effectively too. 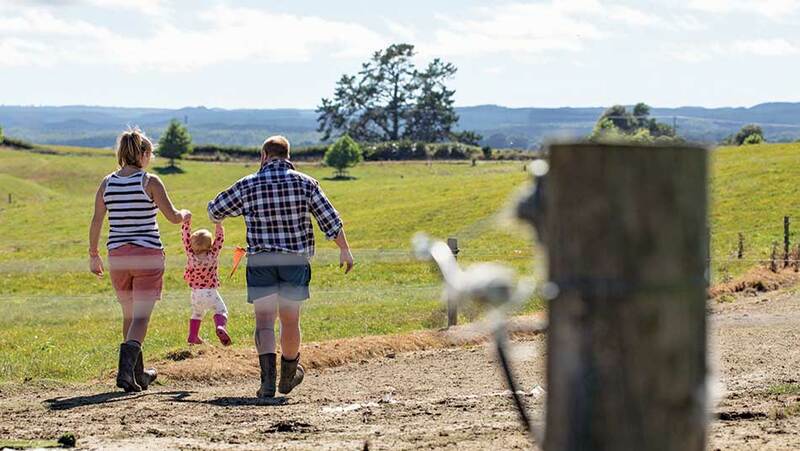 Marc and Nia are passionate about becoming better farmers and DairyNZ’s online Farm Gauge tool has helped them clarify exactly where they need to grow. By using Farm Gauge, the couple identified they had a gap when it came to understanding environmental regulations and council requirements. Another weakness Farm Gauge identified was strategy. Farm Gauge has inspired Marc and Nia to make changes and they’ve used it subsequently to measure progress. “We realised that we probably hadn’t been as honest with our answers as we might have been the first time around,” says Nia. George Moss (right): “Farm Gauge is a very powerful tool that helps farmers identify what they don’t know." 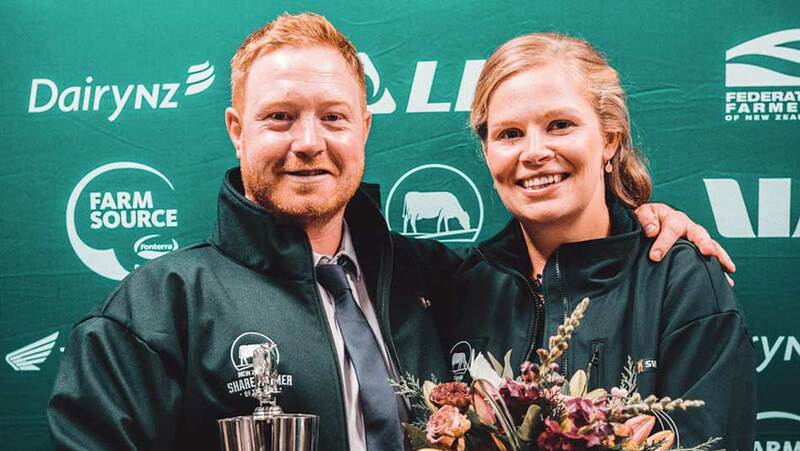 DairyNZ’s Dairy Connect manager Kate Robinson introduced the couple to George Moss, a farmer in their area, who’s given them some excellent strategic advice and mentored them along the way. George invited Marc to a partner farm day which involved a discussion about greenhouse gases, and he’s since spent time with Marc and Nia helping them with their environmental planning. 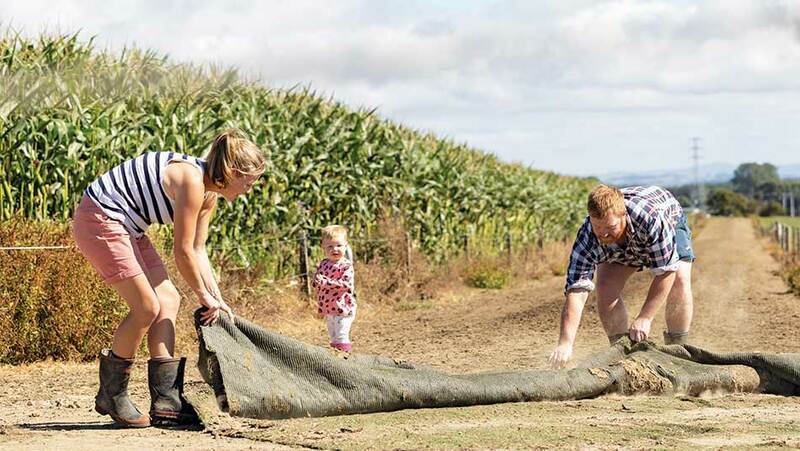 Together, they’ve worked through the effects of the Waikato’s Healthy Rivers plan changes and the future implications of nitrogen loss and nitrogen efficiency. “This is an area that’s moving and changing all the time and farmers, particularly the next generation of farmers, who are more receptive to change, need to understand what’s going to be expected of them in future,” says George. Even though they scored well in some areas, Marc says you have to put this into context. The Joneses scored highly when it came to their races, but they still felt there was a weakness in the system, particularly on the corners. “On this farm there’s some quite big-angled corners and quite often the cows stood there, so the ground was getting pugged and lameness was increasing,” says Nia. In a novel approach, Marc decided to put some artificial grass on the corners. “I discussed it with our sharemilker Sarah Elliott, who agreed to fund it, so I looked online and bought about three tennis courts’ worth to lay on the corners. "We've just started recording lameness, so it will be interesting to compare the results next year. But the cows are definitely moving around the corners more easily." Just days before we went to print with this issue of Inside Dairy, Marc and Nia won the Waikato Share Farmer of the Year competition at the New Zealand Dairy Industry Awards. When the Joneses first completed Farm Gauge 2018 (as part of a pilot group that helped to test the tool), they discussed the results with Sarah Elliott, their sharemilker. “We showed Sarah the scores on everything and it’s these reference points that have been useful in our relationship with her and the farm owners. But the biggest conversation we’ve had with Sarah is to identify the more strategic things that might be outside our brief in terms of decision-making,” says Marc. “We feel that our Farm Gauge reports could form the basis for a twice-yearly meeting with Sarah and Margaret (the farm owner) for ‘big picture’ planning. We can have a good holistic look at the farm and go into detail on every aspect." Marc and Nia also plan to use Farm Gauge as an annual or twice-annual reference point with their team of three. “We may have different views to theirs. There’s so many different topics, so the more views the better,” says Marc. Marc and Nia are now strong advocates for Farm Gauge and Dairy Connect and they encourage other farmers to take five minutes to check them out online. “Farm Gauge is such a quick and simple tool. It identifies your knowledge gaps and you can also redo it as many times as necessary to evaluate and benchmark against yourself (or others if you are happy to share),” says Nia. Marc says it’s also a great tool to complete with your team, advisers and farm owners. Use Farm Gauge to select which business areas to prioritise. Use Dairy Connect to get support from an experienced farmer. Share the results with everyone involved in your business. Use Farm Gauge to find out where your time and resources are best invested. Answer 10 to 20 multi-choice questions to determine how well you’re doing. Then choose a focus area and look at the options to lift performance. There are eight categories, ranging from health, safety and wellbeing, to infrastructure, the environment, strategy, feed, financial, herd and people. Dairy Connect is a service available to all farmers: owners, sharemilkers, managers, contract milkers and farm assistants. If you’re thinking of trying something new on-farm or are facing challenges and want support from another farmer with experience, Dairy Connect will team you up. Are you a dairy farmer seeking information about a specific dairying topic? 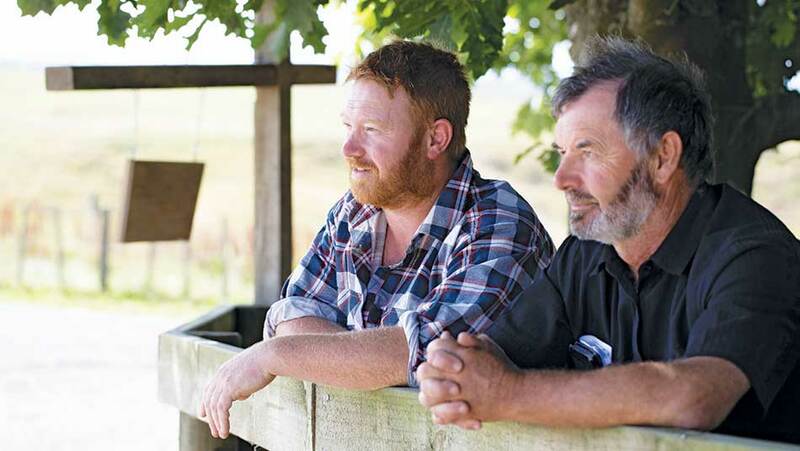 Sign up with Dairy Connect and receive advice from one of our support farmers. Want to read more online articles from Inside Dairy April 2019? Click here.